Unlike its larger, more competitive national counterparts, Portland doesn’t stress too much about reservations—it’s a rarity to find a restaurant that can’t squeeze in a 5 p.m. walk-in. That is, unless the restaurant you’re trying to walk into is Langbaan. Chef-owner Earl Ninsom’s widely lauded twenty-four-seat Thai prix fixe is as widely known for its elusive twice-nightly, Thursday-through-Sunday seatings as for its grapefruit and shrimp miang kham. 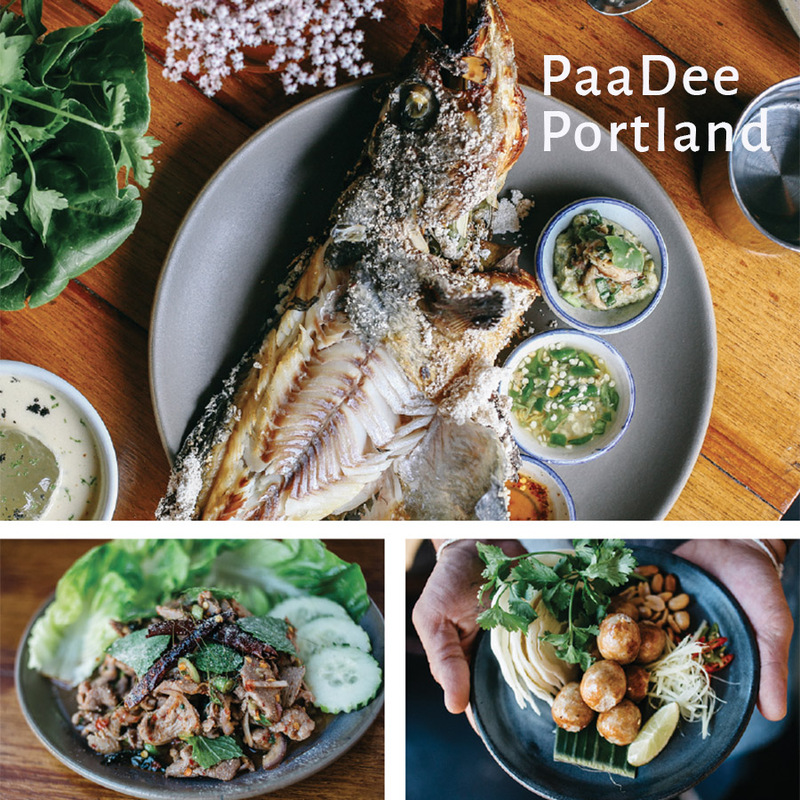 But in June, a ray of hope for those locked out of Langbaan came in the form of adjoining sister restaurant PaaDee’s Issan menu, which celebrates the bold flavors, spice and funk of Northeast Thailand. Served Monday and Tuesday nights only, the menu offers unforgettable plates like Muscovy duck laab with duck liver and Vietnamese coriander, house-fermented pork, rice and vermicelli sausage, and a whole McFarland Springs trout grilled in a thick crust of salt and served with tiny, cracker-crisp leaves of baby romaine, tendrils of fresh mint and dill, oyster and king trumpet mushroom relish, and a duo of spicy dipping sauces. For dessert, delve into a caramelized coconut brownie sundae with chunks of fresh mango, then see if you can sweet talk your way onto the Langbaan list.